Consist of a pull out drawer that can be used to keep your belongings. 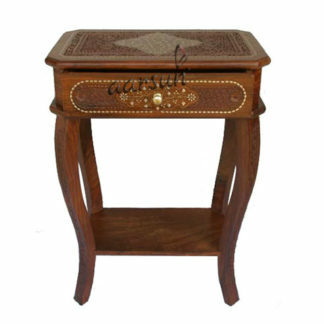 We provide a wide range of premium quality traditional designer Wooden Side table.The side table is made in teak /Saguan wood with white polish.Wooden side table is commonly used for lamp stand, alarm clock, book and etc. 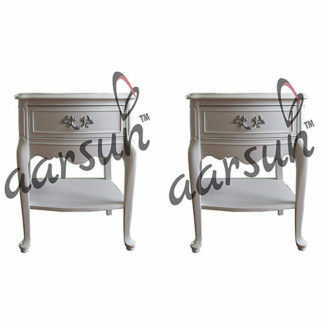 This beautiful side table has a simple yet elegant design.These wooden tables come in set of two and at the bottom area two pull drawers. 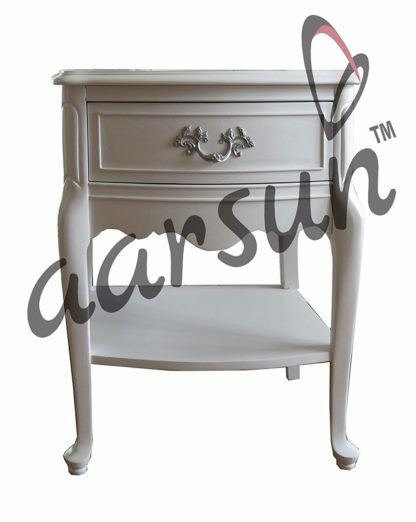 You can place this side table in your bedroom or living room. Add a classic look that is meant to last through the centuries. 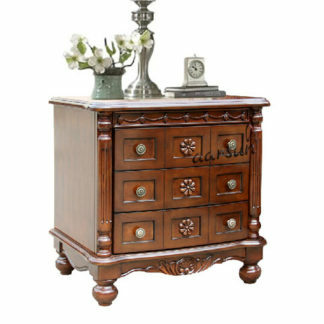 Time to give your living area the magic touch it needs with modern and antique vintage furniture. Teak wood is also known as (sagwan sagaun). Teak wood does not shrink or wrap due to moisture condition. 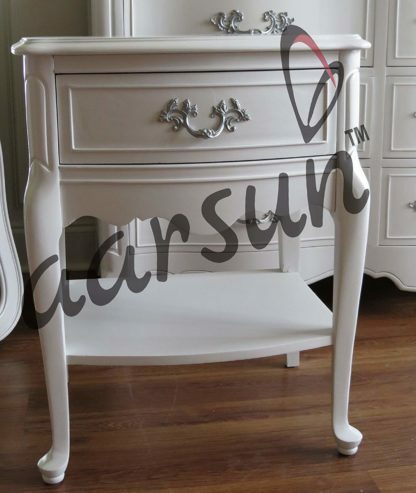 Mostly high demand of furniture’s especially that are made of teak hardwood in interaction to its quality. Teak wood is mostly popular for outdoor furniture. But People like to buy a set teak wood furniture. Teak wood only not famous for outdoor furniture it also famous for indoor furniture.